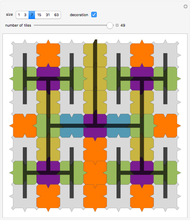 This Demonstration shows the aperiodic tiling A1 discovered by Robert Ammann in 1977. 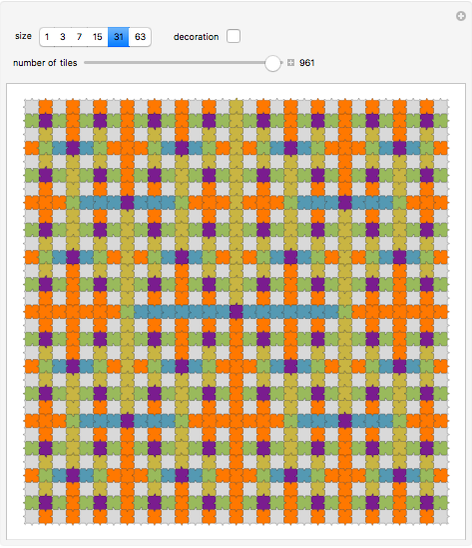 In 1977, Ammann  described a set of six tiles later called the set A1 by Grünbaum and Shephard . 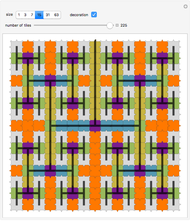 In order to ensure an aperiodic tiling, the edges of the basically square tiles have tabs and indentations. 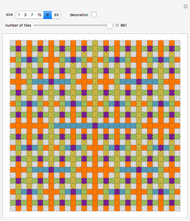 The tilling is similar to the Robinson tiling, but shows features of independent interest. 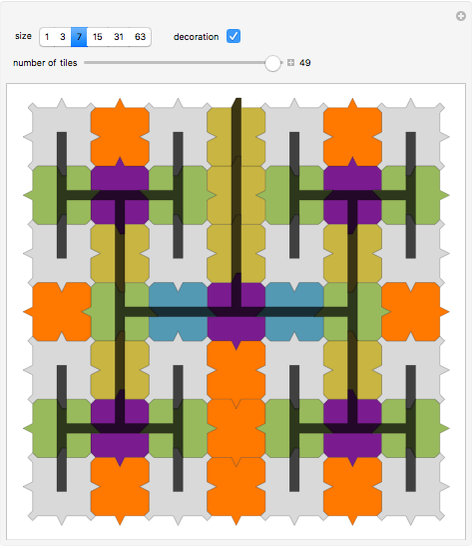 Checking the "decoration" button shows a pattern of interleaved H symbols. 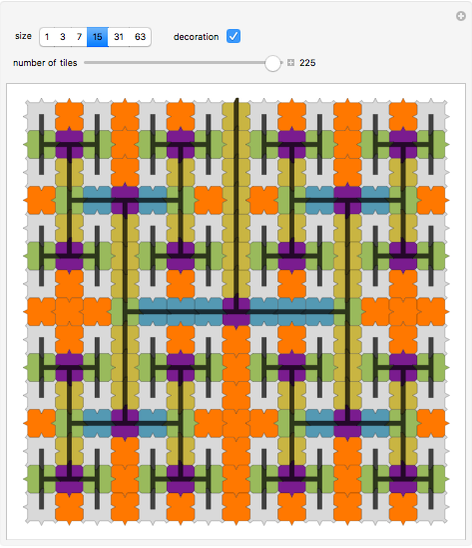 The method of presentation and parts of the code in this Demonstration are adopted from Robinson Tiling. Wikipedia. "Robert Ammann." (May 15, 2017) en.wikipedia.org/wiki/Robert_Ammann. B. Grünbaum and G. C. Shephard, Tilings and Patterns, 2nd ed., New York: W. H. Freeman, 1987 pp. 529–530. Dieter Steemann "Ammann Tiling A1"